Senator Lesser was elected to his first term in 2014 at age 29. His legislative agenda focuses on the fight for greater economic opportunity and quality of life for Western Massachusetts, with initiatives around high-speed rail, a high-tech economy, job training, and innovation in government. He spearheads the Senate’s agenda on millennial issues, including technology policy, student debt, and greater youth engagement in public affairs. Senator Lesser worked in the Obama White House, beginning as an aide on Obama’s first presidential campaign and going on to serve as Special Assistant to Senior Adviser David Axelrod, and later as Director of Strategic Planning for the President’s Council of Economic Advisers. He has a law degree from Harvard Law School and a bachelor’s degree in government from Harvard College. Active in politics as a student at Longmeadow High School, he organized a coalition of students, parents and teachers to fight teacher layoffs and protect public education. He lives in Longmeadow, just blocks from where he grew up, with his wife Alison, young daughter Rose, and family dog Cooper. Senator Lesser is Senate Chair of the Joint Committee on Economic Development and Emerging Technologies and Senate Vice-Chair of the Joint Committee on Financial Services. He also serves on the joint committees on Health Care Financing, Higher Education, Transportation, Veterans and Federal Affairs, and the Senate Committee on Intergovernmental Affairs. Senator Cyr, a lifelong resident of Cape Cod and an advocate for the Cape’s way of life, was elected to his first term in 2016. He grew up working in his family’s Truro restaurant, and got an early start in public advocacy at 16, organizing a student-led effort at town meetings in Brewster, Eastham, Orleans, and Wellfleet to fully fund quality education in the Nauset Schools. He believes in the resiliency of communities and that solutions to affordability, economic opportunity, and environmental stewardship are within reach. 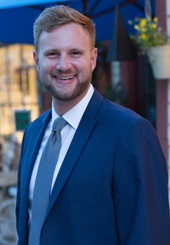 Senator Cyr has served as director of policy and regulatory affairs for environmental health at the Massachusetts Department of Public Health and as deputy director for government affairs at the Department of Public Health. He has also chaired the Massachusetts Commission on Lesbian, Gay, Bisexual, Transgender, Queer and Questioning (LGBTQ) Youth. A graduate of New York University with a degree in public policy and community health, he led the undergraduate student government and advanced student health access and equity for LGBTQ students while on campus. He also initiated a community-based model of on-campus HIV screening and prevention. He interned at the White House and worked for the William J. Clinton Foundation’s Clinton Global Initiative. 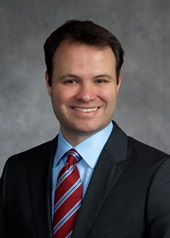 Senator Cyr chairs the Joint Committee on Community Development and Small Business and is vice-chair of the joint committees on Elder Affairs, and Tourism, Arts and Cultural Development. He serves on the joint committees on Housing, Public Health, Municipalities and Regional Government, and Children, Families and Persons with Disabilities. Serving his first term at 23 years old, Rep. Goldstein-Rose is the youngest current member of the Massachusetts legislature. In addition to advocating for his district, he views his unique role in the House as pushing for bolder legislation and systemic change, always trying to get bigger picture bills on the agenda. Rep. Goldstein Rose grew up in Amherst, Mass., and attended Amherst Regional High School. He served briefly as a full member of the Amherst School Committee as a senior. 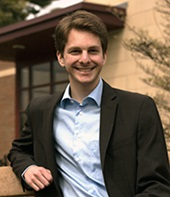 He recently graduated from Brown University with degrees in Engineering and Public Policy. As an undergraduate, he founded and led the Energize Rhode Island Coalition, a statewide carbon pricing campaign. He also served as an intern at the White House Council on Environmental Quality, as well as in the offices and on the campaigns of several U.S. Senators. Rep. Goldstein-Rose serves as a member of the Joint Committees on Higher Education; Housing; and Tourism, Arts, and Cultural Development, and on the House Committee on Personnel and Administration. Rep. Matias came to the United States from the Dominican Republic in the late 1980s. 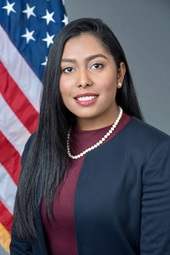 At age 29, she defeated incumbent state Rep. Marcos Devers in the Democratic primary contest and is now serving her first term her family came to the United States. Her parents, both professionals in the Dominican Republic obtained blue-collar jobs in the Greater Lawrence area when they emigrated After and eventually started a small family business. Rep. Matias got her first job at age 11 as papergirl for the Eagle Tribune. She received a bachelor’s degree with a double major in Political Science and Criminal Justice from the University of Massachusetts Boston in 2009. She served as the Undergraduate Student Government President and as an intern for the Executive Office of Governor Deval Patrick. In 2008, she was selected as one of 22 women to participate in the National Hispana Leadership Institute’s Latina’s Learning to Lead Fellowship Program. Rep. Matias was a social worker in Lawrence community for the Department of Children & Families. In 2014 received her Juris Doctor degree from Suffolk University Law School and worked as a Justice Americorps Legal Advocate for Central West Justice Center and Affiliate of Community Legal Aid as an immigration advocate. She is currently the Chief Executive Officer of Matias Enterprises, LLC. a residential and commercial construction services company. 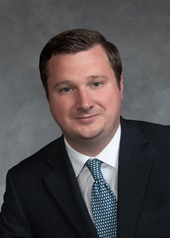 Rep. Matias serves on the Joint Committees on Consumer Protection and Professional Licensure, Labor and Workforce Development, and Public Safety and Homeland Security, and on the House Committee on Personnel and Administration. Senator O’Connor came to Beacon Hill after winning a special election in May of 2016 and was reelected to a full term in November that year. He has geared his efforts toward economic growth, substance abuse treatment, veteran services, environmental protection, and advocating for individuals with physical and developmental disabilities. His office puts special emphasis on constituent services. A lifelong resident of the South Shore, the from Weymouth High School and attended Kingston University in London. At age 21, he was elected to the Weymouth Town Council, becoming one of the youngest elected officials in the nation. He served as State Senator Bob Hedlund’s Legislative Director for eight years, building his familiarity and experience with state government. Elected Town Council President in 2014, he created a Mental Health and Substance Abuse Committee to battle the growing opioid epidemic, and spearheaded the SouthField (now known as Union Point) redevelopment project, transforming an abandoned Naval Air Base into a fast-growing community with 4,000 homes and 8 million square feet of commercial development. Senator O’Connor serves on the Senate committees on Global Warming and Climate Change, and Personnel and Administration and on the joint committees on Economic Development and Emerging Technologies; Education; Housing; Labor and Workforce Development; Municipalities and Regional Government; and State Administration and Regulatory Oversight.